Historically, the predominant function of vitamin D is well recognized in calcium and phosphate homeostasis. Recently, plenty of observational and epidemiological studies have suggested the pro-active role of vitamin D in colorectal, prostate, breast, ovarian, and skin cancers. The protective role of vitamin D against cancer has been attributed to its influence on cell proliferation, differentiation, apoptosis, DNA repair mechanisms, and inflammation and immune function. Latest research has identified that vitamin D exerts antiproliferative and prodifferentiating effects in many malignant cells, and inhibits the proliferation of malignant cells in animal models raising the possibility of its therapeutic application as an anticancer agent. The developed genomic models of vitamin D receptors clearly illustrate the anti-cancer effects of Vitamin D but till date, the simultaneous hypercalcemic effect of vitamin D could not be removed from these analogs. 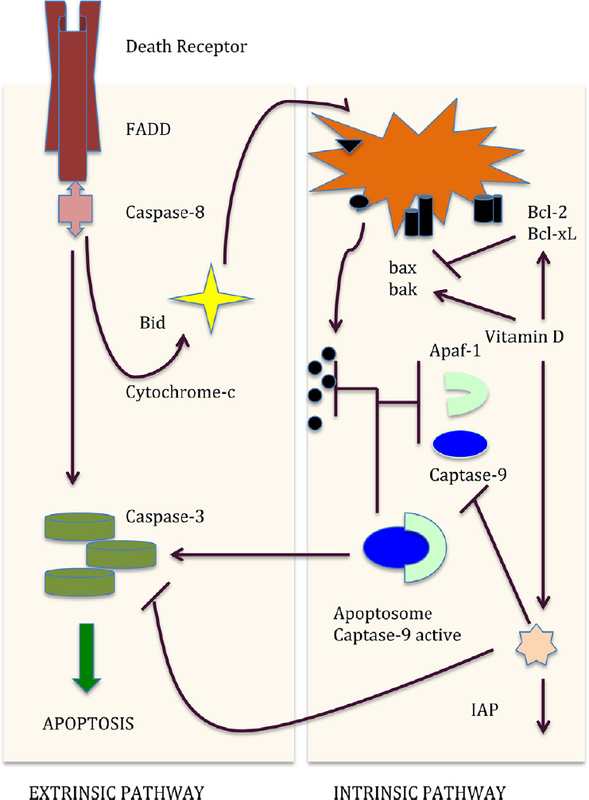 This review presents various dimensions of anti-cancer actions of vitamin D by elaborating its lead role in preventing colorectal carcinoma, and sets future goals for establishing its therapeutic actions. There is an important need to develop alternative anti-schistosomal drugs, as current treatment depends mainly on praziquantel (PZQ). This work aimed to study the in vivo effect of mefloquine on worm burden and tegumental changes on both the juvenile and adult worms in experimental Schistosoma mansoni infection. We studied the effect of this compound in mice infected with cercaria of Schistosoma manson then treated with a single oral dose of 400 mg/kg mefloquine, 3 and 7 weeks after infection and worms were recovered two, three and seven days following treatment. 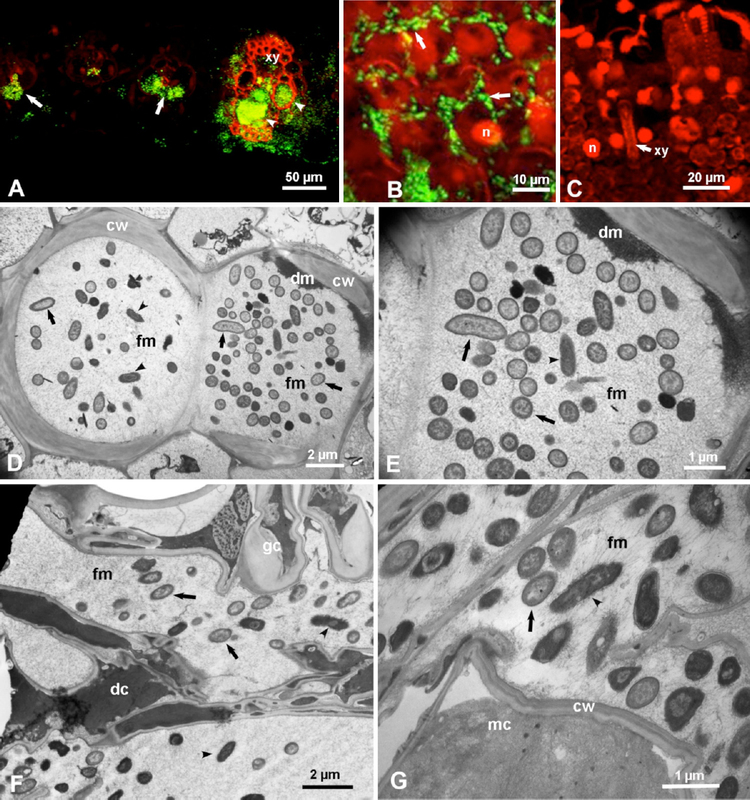 Worm burden was calculated and alterations on the tegumental surface of schistosomula were examined by electron microscopy. The total worm burden reduction in juvenile was 94.5% and in adults was 74.8%. The electron microscopy examination showed tegumental changes in the form of retracted ventral sucker and oral sucker, fusion of tegumental ridges, pitting of the tegument and corrugations with swelling of the tegument in parts and shrinkage in the other parts with formation of deep furrows, disruption and peeling of the tegument with loss of spines and blebbing. Mefloquine has a promising effect in treatment of schistosomiasis. Background: We present the clinicopathological characteristics of lupus nephritis (LN) in a subset of population from Western Saudi Arabia. 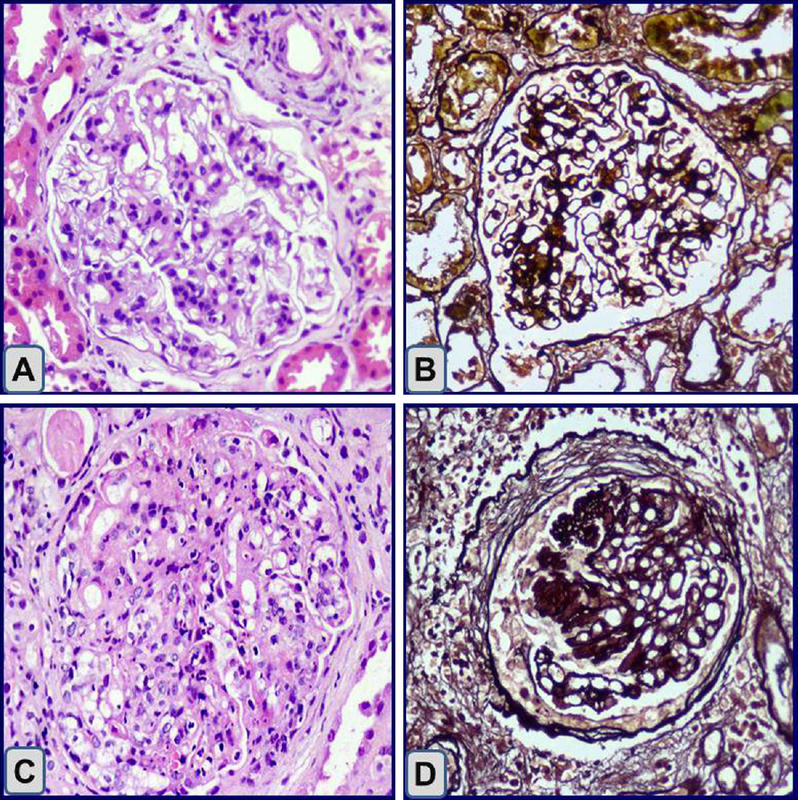 Materials and methods: We retrospectively analysed previously diagnosed 148 renal biopsies in cases with systemic lupus erythematosus (SLE) from two medical centres. Microscopic slides from these patients were retrieved and re-assessed according to the WHO and ISN/RPS classifications by histological, immunological and electron microscopic items. Clinical and laboratory findings were retrieved from patient's medical records. Results: Median age of patients years is 24 (range: 2–65), females (85.1%), and males (14.9%). The frequency of cases in each class according to WHO classification and ISN/RPS classification was nearly the same and was as follows: class I (0%), class II (12.8%), class III (8.8%), class IV (51.4%), class V (23%), and class VI (4%). For IV class, IV-G (41.9%) subcategory was higher than IV-S (9.4%). Immunofluorescence examination revealed positive staining for IgG and C3 in 98.4% and 97.6% of cases respectively. In conclusion, class IV (51.4%) is the predominant class, followed by class V (23%). Conclusion: There are differences in clinicopathological data reported from this study with other studies. Continuous reporting from different national specialised nephrology centres is recommended for better elucidation of the natural history of lupus nephritis in Saudi patients. Salicylates are a group of phenolic compounds that are found naturally in plants. They exert anti-inflammatory and pro-apoptosis activities. Three salicylates (acetyl salicylic acid, ASA; acetyl salicylate calcium, ASCa and salicylate calcium, SACa) were tested in human fibrosarcoma cells for their apoptotic activities in HT-1080 cells using both biochemical and morphological approaches. Salicylates-treated HT-1080 cells exhibited typical apoptotic features, including membrane blebbing, shrinkage of the cell and fragmentation into apoptotic bodies. The effects of the DNA labelling agent, BrdU, resulted in more rounder smaller and a smooth membrane in HT-1080 cells. These salicylate compounds demonstrated anti-proliferation and reduced the metabolic activities of HT-1080 cells by timeand concentration-dependent manners. Pantoea stewartii is the causal agent of Stewart’s wilt of sweet corn, the most serious bacterial disease of sweet corn and maize in the North-Central and Eastern USA. P. stewartii is transmitted mainly by the corn flea beetle Chaetocnema pulicaria (Coleoptera: Chrysomelidae) and this bacterium is assumed to overwinter in its vector beetle. Using immunofluorescence confocal and transmission electron microscopy (TEM) we localized P. stewartii in its host plant and insect vector. In infected maize, P. stewartii was found mainly in xylem vessels of major and minor veins as well as in intercellular spaces of infected leaves. In the vector beetle, P. stewartii was found by immunofluorescence in the foregut, midgut and hindgut up to 12 days post-acquisition (post-feeding on infected plants for 2 days). 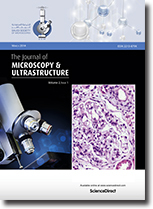 TEM of thin sections in the beetle’s gut four and eight days post-acquisition revealed bacterial cells similar to those of P. stewartii in the gut lumen, close to or associated with the gut microvilli, as well as inside epithelial cells of the midgut. This suggests a stronger biological relationship between this bacterium and its vector, and that the corn flea beetle may carry P. stewartii intracellularly as well as extracellularly within the gut, which has implications in the persistence and overwintering of this bacterium in the vector and on the epidemiology of Stewart’s wilt disease of corn. The epiphytic bacterial community prevalent on ethnomedicinal plant surfaces were studied for their diversity, niche localization and colonization using the micrographical and molecular approaches. 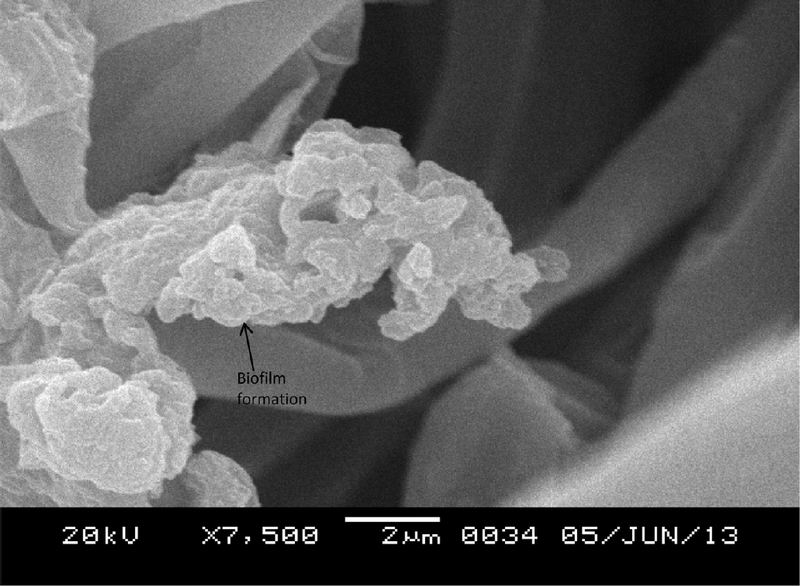 Scanning electron microscopy (SEM) revealed the presence of large aggregates of bacterial communities. The bacterial localization was observed in the grooves along the veins, stornata and near the trichomes of leaves and along the root hairs. A total of 20 cultivable epiphytes were characterized which were analyzed for richness, evenness and diversity indices. Species belonging to the genera Bacillus and Pseudomonas were the most abundant. Bacillus thuringiensis was the most prevalent epiphyte with the ability to form biofilm, as a mode of adaptation to environmental stresses. Biofilm formation explains the potential importance of cooperative interactions of epiphytes among both homogeneous and heterogeneous populations observed under SEM and influencing the development of microbial communities. The study has revealed a definite pattern in the diversity of culturable epiphytic bacteria, host-dependent colonization, microhabitat localization and biofilm formation which play a significant role in plant-microbe interaction. 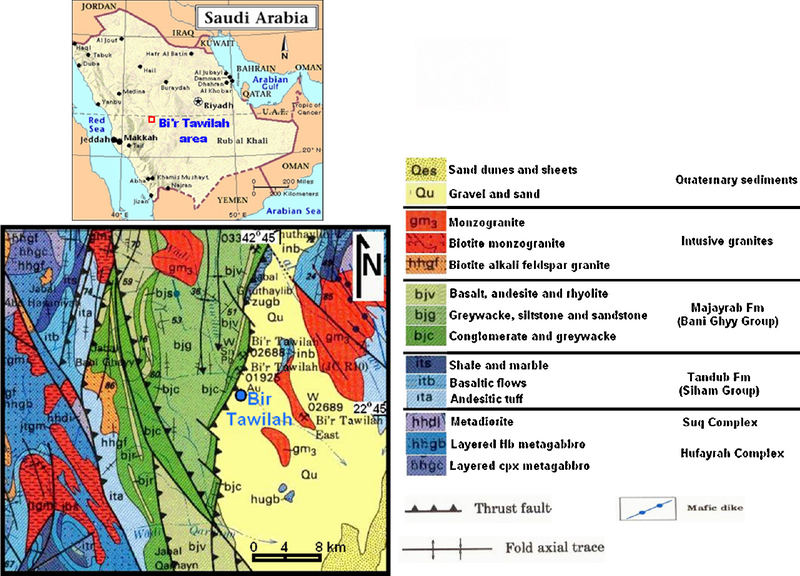 Ore microscopic investigation of core samples from the Bi’r Tawilah gold prospect enables to distinguish three main groups of ore paragenesis from oldest to youngest, namely magmatic, hydrothermal and supergene. The ore minerals are encountered in sheared and mineralized ophiolitic serpentinites and a variety of hydrothermally altered granitic rocks that include quartz-diorite, granodiorite, monzogranite and quartz-feldspar porphyry. Magmatic ore minerals are chromite, magnetite, ilmenite and pyrrhotite. Hydrothermal ore minerals are the most common (>90%) and they follow the paragenetic sequence: rutile, sphalerite, chalcopyrite, pyrite (with visible gold and electrum inclusions) and arsenopyrite. Supergene ore minerals are ferric Ca-arsenate and ferric oxyhydroxide (±goethite) which represent the weathering products of pyrite and arsenopyrite, respectively. The non-arsenian nature of pyrite and late formation of arsenopyrite all together suggest mobility of As in the hydrothermal fluids until late stages. There are no remarks of ore metamorphism as all events took place post-orogenically despite zonal arrangement of inclusions in pyrite that can result from paucity of crystallization. Ore textures indicate change from early relatively reducing hydrothermal fluids at low fS2 that crystallize pyrrhotite which is converted into pyrite when the fluid becomes relatively more oxidizing at high fS2 and pH <5. On the other hand, the supergene enrichment zone at the uppermost 40 m is dominated by exclusively oxidizing fluids (pH >7) at low temperature up to ~75 °C. Supergene ferric Ca-arsenate is a cellular-structured hydrous phase with distinct As5+ ↔ Fe3+ + Ca2+ ionic substitution in three distinct domains.